Gobble helps busy professionals easily cook dinner in just 10 minutes with 1 pan. The company designs gourmet dinner kits and completes all the sourcing and prepwork - washing, chopping, marinating, and sauce-making - so all one has to do is combine the ingredients together in one pan and be a dinner hero. Fresh ingredients are sourced locally from sustainable and humane Bay Area farmers. The menu offers six new and different dinner kits every week. Each customer has complete control over their menu and schedule. Dinner kits are delivered to customers in a recyclable and refrigerated box. 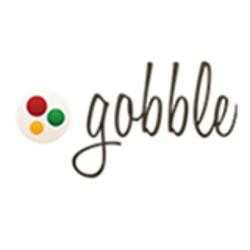 Gobble is headquartered in Palo Alto, CA. 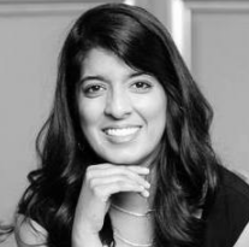 Ooshma Garg already has started two successful businesses – one that she recently sold and another that has attracted over one million dollars in venture capital. In 2008, she created Anapata, an online site that matches students looking for jobs with potential employers, mostly in the legal field. After three years of sleepless nights, bootstrapping (keeping the business self-sustained without raising any outside money) and developing Anapata, Garg sold it to the legal company LawWerx. Garg says she feels she’s finally found her niche and true passion with Gobble, a dinner delivery service that creates 10-minute 1-pan fresh dinner kits for busy professionals looking for a healthy and quick alternative to takeout. The idea came from Garg’s own struggles to eat well while running Anapata. With a demanding schedule that often left her eating in her car, Garg says she was looking for a way to get home-cooked meals at a reasonable price. She started by delivering prepared meals from local chefs and eventually progressed to hiring cooks and chefs in her own Gobble commercial kitchen. With the hiring of Executive Chef Thomas Ricci, Garg invented Gobble's now flagship product, the 10-minute 1-pan dinner kit, providing her customers with both the speed of takeout and the satisfaction of cooking at home. The strategy paid off with Garg scoring some top investors in Silicon Valley – including LinkedIn Co-founder Reid Hoffman – raising over $1.2 million in seed capital for her business. There are a million food delivery startups in the US. It’s almost hard to believe that two years ago Grubhub’s stock was in free fall, as investors who feared “disruption” from the many well-funded food startups fled. From late April 2015 to late January 2016, Grubhub’s stock lost 61% of its value, falling from $47-and-change to less than $20. During those same nine months, Postmates raised $80 million, Munchery raised $85 million, and Sprig raised $45 million. Grubhub operates in those places but also provides service in smaller cities that startup competitors are less inclined to frequent. Tumbling classes have started at Chaos Elite. All ages and skill levels are welcome to attend. Uber also launched its own food delivery service UberEATS in Seattle late last year. In Seattle, food delivery options include services like DoorDash, Peach, Lish, Munchery, Square-owned Caviar, Postmates, Bitesquad, Seamless, GrubHub, Farmigo, Yelp-owned Eat 24, and many others. There is yet another food delivery service now available in Seattle — although the newest entrant has a slightly different take on getting dinner to your door. San Francisco-based Gobble today launched in Seattle, delivering its 10-minute dinner kits to folks around town that still want to cook, but do away with the food preparation process. In addition to Seattle, Gobble is already available in California and Nevada. Founded in 2013, DoorDash is a food delivery service. (Gurley’s own investment in food delivery service, GrubHub, went public in April 2014 and is now valued at more than $2.2 billion. Bill Gurley, the well-known investor and a partner at venture firm Benchmark, believes delivery startups may soon be due for a rude awakening. Like The Last TimeEven in a crowded field, funding for these delivery startups continues to grow. )Investors, meanwhile, say these delivery upstarts will help Americans eat healthier, faster, and more efficiently with the push of a button. We have mentioned before how much activity the food delivery space has been seeing this year. This includes larger financings to grocery delivery startups such as BigBasket and PepperTap, as well as food ordering startups including TinyOwl and Swiggy. Companies in the space include companies that deliver meals, as well as online ordering platforms and meal kit delivery companies. The largest was the $630 million raised by China-based online food ordering platform Ele.me (which means “Are you hungry?”). Take Rocket Internet, which spent $700 million in one day in February on investments and purchases in the food delivery space, including in Berlin-based Delvery Hero. Food e-commerce company Gobble has raised $10 million in a Series A round led by Trinity Ventures. Rocket Internet’s HelloFresh, which closed an $85 million Series F in September 2015, is planning to hold an initial public offering in Frankfurt. Andreessen Horowitz, NYC angel firm Initialized Capital, global firm Fenox VC, Trinity Ventures’ Entrepreneur in Residence Anjula Acharia Bath, and Ideas Merchants Capital’s CEO Rohan Oza also participated in the round. Next, users select the dates and times they want meals delivered, while also reporting any food preferences or dietary restrictions. Gobble plans to use the funding to expand its current markets on a national level. Apparently, during the early days of cake mix, there were versions that actually required less work than cake mix does today, but customers preferred mixing in the water, oil and eggs themselves. To further illustrate why she settled on this mix of cooking and not-cooking, she pointed to the history of cake mix. )Gobble has actually been around for a few years, raising funding from some high-profile investors and participating in Y Combinator. It struck the right balance between making things easier and allowing home chefs to still take pride in the results. The current model, Garg said, was an attempt to combine her own fear of cooking with the “cooking prowess” of Gobble’s executive chef Thomas Ricci. Gobble, currently in the Y Combinator Winter 2014 class, is seeking to alleviate that pain by offering up personalized meal selections through a subscription delivery service. So Gobble built a subscription business designed to help families and groups have great, personalized meals delivered to their homes. At the beginning of the week, those customers will receive a calendar with meal options for the week laid out for them. They can add or subtract days, or change their meal selection up to 24 hours before delivery. )Gobble’s main target market is busy families, and the company charges $10 a meal for adult portions, $8 a meal for kids, and a weekly delivery fee of $9.99 for unlimited meals. After all, we’re not just what we eat—we’re also where we eat and whom we eat with. Technology will probably never be able to answer the question “Where should we eat?” That’s OK. What’s important is that how we answer the question could be different in the future, and that’s a good thing. Housefed is a service for people to eat homecooked meals with others at the cook’s home, whether in the city you live or while on the road. After the age of the Yellow Pages, we’ve all used multiple services that guide us to a restaurant seat. We are separated from what we eat. Ordering takeout food can be unhealthy; and Gobble provides an alternative to finding home-cooked food that is also healthy and nutritious. On the site, users can sign up to order home-cooked food from chefs in their area. Garg and her team test out each chef’s food, and vouches for every chef on the site. Members can also review and rate meals. Whether you are a professional chef, caterer or love to cook, you can sign up on Gobble to sell your food to your neighbors. Munchery aims to bring personal chefs to the masses, giving consumers a way to access high-quality meals delivered to their home by professionals. Currently, Munchery features personal chefs, caterers, and even chefs who work in restaurants. For most of us, employing a personal chef is not financially possible. A new startup has launched hoping to disrupt the food services industry and democratize the experience of having a personal chef. Meals range from $12 to $22, but Munchery is offering $10 off for every first meal purchases through Munchery.